Tricks or hacks are cunning ways to outwit someone or something and are most commonly applied, but not limited to, practical and online games, but there are clever life hacks too like heating two bowls of dishes in one microwave or using binder clips to fix broken keyboard stands. Clever, indeed! A come on message about a latest post with a link to your blog is a sure bet to gain attention. Just make sure that your content includes an option for the recipient to receive future posts. Level up on your CTAs by including links that would lead to landing pages of Q&As, subscription or appointment requests. Share buttons will surely keep your post active but the action mustn’t stop there. 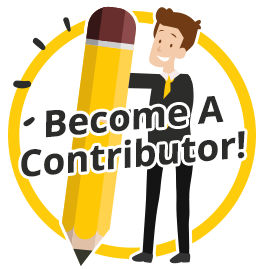 Create a convincing byline that will move the reader to opt-in for future posts. Thus, you earn another active email address while increasing the chances of generating leads. Here’s a fine example of a Call-to-action we place at one of our blog post. Set sticky widgets that roll with the content as the reader scrolls down for more information. This will serve as a constant reminder to them to click a landing page for an offer or a free guide. On either side, attach a photo that clearly represents you or your business. Oracle nailed it. It’s true that most internet users today are what we call visual learners – they understand a story, product’s use or a service’s process better when presented through a video. A 2-minute video of a walkthrough on how to play Pokemon Go would perk up your viewer to play the game right away. By having a video placed on your landing pages, you’ll be giving the visitor an option for a quick scan of your service. Not all will be delighted to read a four-paragraph landing page but a well-crafted and cogent marketing video might do the work for you. Access Quora and search for topic keywords to get into relatable feeds. Join the 60 million users of Slideshare and gain potential leads from visitors who find your slide presentation interesting and usable. Want some more Lead Generation Hacks for your IT product? Before your dip your foot on your marketing ventures, be sure to know your lead generation numbers! In ancient times, major decisions in commerce were always made with the advice of seers, oracles, and horoscopes. Possibly, because of the world economic situation in the past decade, this practice has gained even more popularity. It is a tendency that comes from wanting to make sure that business will be conducted successfully. The number of businessmen who are interested in getting business horoscopes grows daily. The application of astrology and horoscopes to business is based on the belief that planets are the source of clear and well-balanced instructions based on the laws of nature laws, which determine what people are, how they live and move. Fire, air, earth, water, animals, humans are all subject to and can be aided by the movement of the planets – movements which cannot be estranged from anything that has life in it. Studying the influence of planets is the key to knowing what a person and his dealings on earth will be worth; and what he can do to prepare for life’s occurrences. It follows therefore that the best way to reap maximum profit out of a man’s material business is to make it conform to the astrological laws. Both Chinese and Hindu horoscopes devote much attention to business. Hindu business astrology for example, makes recommendations as to what business is best suited to an individual. It also indicates the good and bad times for implementing effective business decisions. Business horoscopes address questions such as when it is auspicious to set up a business, what business a person should set up, when a businessman shall see profit, when the business should go global, how capital can be built, enjoyed and preserved. These horoscopes deal with the concern of disciplining every function of business to ensure that it becomes a successful enterprise by providing guidance on how the business can be run in cooperation with the laws of nature. The business horoscope is basically derived from calculating business prospects from a person’s horoscope. The combinations arising out of an individual’s horoscope are the basis for deciding which businesses are appropriate to pursue. Predictions are made after studying the important houses governing success in business in relation to the person’s chart. Singaporeans are strongly entrenched in traditions, and using horoscopes to guide them in their business undertakings is common. If you were part of the marketing industry, specifically Internet marketing, you would be glad to know that the road to lead generation for 2016 seems straight and paved, making it easier for you to dabble on your efforts to rake in more profits for your business. The year 2016 is the Year of the Monkey in the Chinese Zodiac. The monkey is said to be “smart, quick-witted, frank, optimistic, ambitious, and adventurous”. 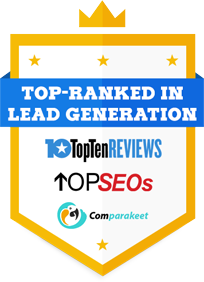 Hence, if you want to succeed in lead generation this year, you need to embody all of the previously mentioned attributes and more. How can you apply those attributes in your business in order to generate leads? You are probably already using analytics and data in your business. Nevertheless, for the Year of the Monkey, you’re going to have to use your smarts to analyze data in order for you to implement the best strategies in lead generation. You’ll never know when unexpected findings based on data could lead to profitable leads, so be like the monkey and use your brains in data analysis. Everyone’s going mobile now. It’s the most convenient and surefire way to reach people these days. If you’re bent on generating leads for your business, consider how your content works on mobile. This means reviewing your content, editing them to become shorter and more mobile-friendly. Try boosting your events, promote better and get more customers! If you want to generate leads, make use of virtual storytelling tools like Instagram, Pinterest, and YouTube as a means to grab and keep the attention of prospective leads. Concentrate on creating more video, shorter texts, and better images to reach more potential leads. Use your quick wit to create humorous content that people would be interested in reading or watching. Don’t be afraid to venture into new territories. Check out this post on marketing trends in Asia! Measuring metrics is something that’s still a source of confusion for most marketers, which is difficult considering it’s important in lead generation. However, don’t let it stop you from making use of marketing automation data flows, Google Analytics data, and SEO fluctuations to measure metrics. No matter how vague the truth about measurement is, keep a positive outlook and make do of what is available to measure the success of your lead generation efforts. This Year of the Monkey could be promising for your lead generation efforts as long as you keep these simple tips in mind. Try Multi Channel Marketing instead. An integration of different marketing avenues that reaches your prospects in any marketing platform. 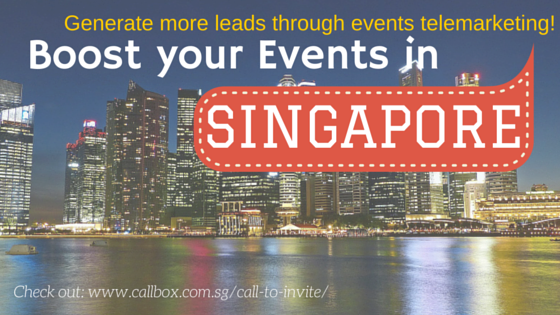 Learn how we effectively generate leads for Singapore! If businesses can learn three important things about B2B lead generation, they should come from popular science fiction films. Every movie within the genre often features an army hell-bent on taking over the world. In GI Joe, we have the Cobra organization. In Captain America, we have Hydra. Yet neither of these are as ambitious as the Imperial Stormtrooper Corps in the first Star Wars trilogy. Forget about a planet, these guys are all about keeping an entire galaxy in line. Underneath the white armor and beyond the intimidating name though lies sheer incompetence. 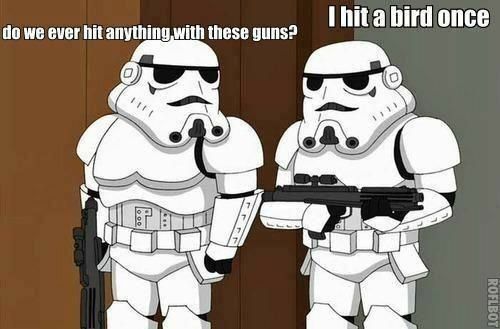 With inaccurate shooting skills, a penchant to mess up and a vulnerability to Jedi mind tricks, stormtroopers are not exactly the best the Empire has in its arsenal. But what are you going to do? Recruit Ewoks? In the same manner, some businesses often struggle with inefficient lead generation processes that function like stormtroopers. Their client profiling and B2B telemarketing activities are not as precise in hitting appropriate targets and they are not as apt in tracking them either. But since lead management is akin to organizing a galactic empire, managers should always think about how best to prospect for leads, improve their marketing campaigns and prevent their businesses from failing like the Death Star. Stay current and competent with technology. Lacking an ability to shoot straight at a rebel smuggler, stormtroopers compensate for this weakness by having the latest tech galactic credits can buy: tracking devices and high-tech weaponry, the works. However, marketers should know that having the latest in marketing automation software does not guarantee a 100 percent success rate. What counts the most in fact is how well you use such instruments in qualifying leads and aligning marketing with sales. Monitor and nurture leads with Callbox Pipeline. Check out! Whether sand, snow, or shrub, the Imperial Army can take missions just about anywhere. The only problem is that it often lacks a thorough knowledge of the places it comes to conquer. Remember Endor? Prior to a campaign, making full use of marketing intelligence can be a decisive factor in creating strategies as fruitful as the assault on Echo Base. Use the force… that your brand embodies. What little respect we have for stormtroopers is due to their association with Jango Fett, the most feared bounty hunter at the time of the Galactic Republic and from whom the Imperial Army originated. We cannot discuss that at length, but it proves that having a strong reputation tells audiences a lot about your proficiency as a solutions provider. In this case, leverage your identity in the most efficient way possible through multi-channel marketing. Let us give stormtroopers a break here. There is always room for improvement even for an army known more for its incompetence than its usefulness. Meanwhile, marketers can keep these tips in mind to create a lead generation program as effective as the Millennium Falcon. But for your, it isn’t end yet. Improve your marketing campaign for Singapore, get some marketing and sales tips today! As marketers, we are hard pressed to find the best approaches in acquiringquality B2B sales leads. It’s not always an easy task as it demands a lot in terms of productivity. Unless you want to settle for a mediocre B2B lead generation campaign, increasing your productivity is essential for producing leads with better chances of converting. Need to make your site go faster? The page speed tools plugin for Chrome will show you how even if you know next to nothing about web development. Once you’ve installed the plug-in, go to any page on your site and hit F12. This will bring up the chrome dev console with a new page speed tab. Tab over to it and hit the start analyzing button. The plug-in will do its thing and then give you a list of changes you can make to your website to enhance the speed of said page. Ping it over to your developers and you’re done. With luck, you can get the pages loading a lot faster with some basic changes. Compared to any other analytics platform I’ve ever used, GA (Google Analytics) tops the list in terms of usability. Perhaps as a consequence of that, I seem to spend a lot of my day opening and closing nav menus or digging through a few hundred redundant custom reports to get to the ones I need. Sound familiar? Instead of spending lots of time switching between tabs in GA to get to the reports you need, use the shortcuts menu. Go to the GA reports you use a lot and hit the shortcut button and hey presto – all your most useful reports in one menu. I have a memory like a goldfish, and yet I have many, many things to keep track of. To help me out of this impossible situation I use Remember the Milk. It’s the most genuinely useable to do list I’ve ever had (and I’ve tried and failed at many), it’s free, and I can access it from anywhere. What’s not to like? Some alternative task management tools are Todoist, Any.do and Wunderlist. Try out these suggestions and see if there are any positive results. You can also try hiring a B2B lead generation company to help you drive traffic using a wide range of advanced marketing applications and techniques. Let us help you expand your market in Asia! Dial +65 3159.1112 for more inquiries. Would you quickly drink a cup of freshly brewed coffee without sipping on it first? What if I ask you, is your brand ready for sales and marketing launch? If your answer is not a sure YES, then let’s discuss about Lead Generation for now and parking lot on Appointment Setting. You know who your target consumers are but would you know how many of them would be interested in your product or service? How many of them are on the buying stage or maybe just evaluating? How much would they spend for the purchase or do they have the budget? How soon would they switch or upgrade? But why do we have to comply with such pre-requisite action? Can’t we just go ahead and directly sell or offer to consumers? Such question makes sense, as the main objective of each business is to do so. Who are your target consumers? What product or system are they currently using or engaged with? Where or which target location would you prioritize to cater to? When are your prospects planning to buy – today, next quarter or 6 months from now? These question sets maybe are a few basic start points when getting information from your target consumers whom you would consider as possible buyers. You should acquire accurate statistical data as this should be a strong point of your comparison with the competitors’ brands. Get a full knowledge of their market scope, solution edge, and sales strategies as these are essential factors to consider before you do an official market launch. Survey is asking people, one or maybe series of questions in order to gather information. You may use tools and procedures via different media like telemarketing (profiling), the web (social media) or face to face interview in conducting a survey. The conclusion of the survey process will determine the readiness of your product or service to go live in the market or take further profiling activities. Regardless which industry you are engaged with, the competence and readiness of your brand will impact the business’ marketing and advertising effectiveness, sales cycle, and cash investment returns. This means that your brand’s features and benefits should cater the needs of your target consumers to guarantee customer satisfaction. What they see and hear about your business offering must translate into a worthwhile experience. Media advertising may stir your prospect’s interest, but the proven experience that is testified by your consumers through word of mouth would be the most effective promotional medium. So before you set appointments to present your brand’s features and benefits with your prospects make sure that you have accurate data on hand about your target consumers. 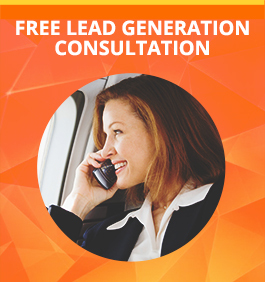 Take a sip of lead generation before the big gulp of appointment setting. I bet you wouldn’t want burnt lips and tongue, would you? Singapore. Such a small country but teeming with fruitful promise everyday. With the recent death of their beloved founder, Lee Kuan Yew, Singapore’s business discipline stems from his teachings that made Singapore the country that it is today. With its established financial stature, Singapore continues to be at the forefront of businesses across the globe, making it the regional headquarters of global companies. This is so because of its competitive corporate tax at 17% as of 2013, making it one of the lowest in Asia Pacific. In addition, Singapore has a reputable friendly business environment and excellent infrastructure that is enticing to businesses. With these, business is booming as usual in Singapore. On the life insurance industry, it maintains steady performance in the half of 2015 at S$1,352.7 million achieved in weighted new business premiums. According to the Life Insurance Association in Singapore, 19% are CPF-funded policies. On the other hand, investment-linked products are S$272 million, which is 20% of total weighted new premiums. PAR or participating products remain to be the biggest contributor to the pie at S$739 million in the 1st half of this year. Even with these numbers, LIA continues its campaign to promote aggressively amongst the Singaporeans, policy makers and its relevant stakeholders. However, despite steady performance of the industry, it is not without its concerns. Singapore is known for strict policies, this is why the top concern for the industry players is keeping pace with the country’s regulations, according to a survey done in March and April by the Centre for the Study of Financial Innovation or CSFI with PwC. Corporate insurance is a given. It provides added security to a business’ employees such as health, life or even retirement policies. Job seekers consider corporate insurance as an enticing package when considering employment in addition to base salary. At times, it is even the deciding factor. Companies now need to be more creative in their employee packages to entice and retain talent. Corporate insurance is one way to provide a differentiator for workers to choose your company. But other than concern for its employees’ welfare, it also reflects the business’ financial standing. Still, Singapore is a hub for opportunities albeit with its small geographical space. Notes LIA, they are looking forward to the rest of 2015. Admittedly, there is a gap in the protection space especially in death coverage and also for long term care. Health insurance is also an area of opportunity for insurance providers as it needs continuous education on the benefits. Over all, industry players need to pay attention to these gaps and campaign for education. Through this, the industry will continue to be stable in Singapore. Corporate insurance is a necessity for every business. As an insurance provider, it is your role to make them understand the importance of your service. Hiring a lead generation company will definitely boost the opportunity to generate more corporate insurance leads. Do you have the right SME prospects in your list? Financial lead generation campaign for small & medium enterprises requires accurate prospecting and such is actively done by your Callbox telemarketer by profiling the list during live calls. How long has the business been operating? Stability of a business will determine its strength to withstand any problem such as churn, sales decrease or capital loss. It is important to know how stable the business is that you target to ensure trustful commitment between you and the prospect. How much are you looking at? Ask your prospect of this question and start customizing from there. Your prospect should specifically know how much he needs and must be aware of the payment scheme he is capable to cope based on your agreed contract. Almost all small businesses would need some cash injections at some point of their trading life and the purpose would typically be for Growth, Consolidation, Acquisition and Restructuring. How soon do you need the loan? Prioritize prospects who mostly qualify on all 4 questions. Prospects who would not give out a quick reply of “the soonest” or “now” would most likely turn cold in the latter or are just simply comparing notes and does not really have an immediate demand of cash assistance. Set standards for your business services but keep up with your targets’ trading needs by simply customizing deals for them. Along the way, you may infuse “promotional offers” and “PR help”. With this, you are assured of getting the right targets for your Financial Lead Generation Campaign. We in the B2B marketing industry are fond of throwing around metaphors to describe how ferocious and contested it is to engage our target markets. But as executives in the IT services sector see their market as a battlefield of technical jargon and healthcare marketers see their arena as a merciless valley of risks, these metaphors are actually far from what their markets really are: as organisms. Back in high school, our biology classes involved capturing an animal and dissecting it for the purpose of having a better look at its anatomical structure and its importance to the animal’s survival. Moral considerations aside (after all, we’re dealing with metaphors here), dissecting a frog enables us to understand not just the mechanisms that allow it to jump very long distances, but also its biological make up in relation to its surroundings. We can use such information in, say, creating artificial ecosystems that precisely mimic its natural home. But where does marketing fit in all this? Just like the frogs we abduct, markets have examinable qualities that describe how it behaves in any given situation. Knowing these qualities is no helpful in terms of finding opportunities. In this Business 2 Community article, David Cameron Gikandi offers a guide of 11 characteristics you could find in a market with high potentials. The bigger the market size, the better. The more urgently people need the products in that market, the better. For example, pet rocks have no urgency, but medication does. The faster you can go from getting the initial idea to beginning to make sales, the better. The higher you can charge per product, the better. #5 Low cost of acquiring new customers. The easier and cheaper it is to get new customers, the better. #6 Low cost and ease of delivering. The cheaper and easier it is to deliver your product, the better. The more unique your product is (or how you deliver it, or how you package it), the better. The fewer resources you need to test the market, build the business and get started, the better. #9 Back-end and up-sell potential. The more related products you can sell to your existing clients, the better. You don’t want to go into business whereby you can only sell one product one time to each customer and then that’s it. There is no growth potential there. You need to be able to repeatedly sell the same customer. The easier it is to continue selling and selling once in business, the better. For example, a product that can be sold forever, like toilet paper or cooking oil, is better than one that is sold just once, like pet rocks. The easier it is to reach and communicate with your market, the better. For example, does your market congregate in “pools” like mailing lists or radio stations or places you can get access to? By understanding this, we can create a lead generation strategy that will work. I was never a fan of Hindi films until I was able to watch “Taare Zameen Par”. It’s a directorial Hindi movie by Bollywood star Aamir Khan which starred Darsheel Safary as Ishaan Awasthi, a child who had special learning needs. Ishaan’s parents misunderstood him for being a troublemaker and dumb, which resulted him being sent to a boarding school for boys to be disciplined. Ram Shankar Nikumbh (Amir Khan), a substitute Art teacher, discovered Ishaan’s special learning needs which were never known by any other faculty in the boarding school. Ram helped Ishaan discover his special skills, and nurtured him to understand his academic lessons through daily tutorials and mentoring. Nurturing means to take care of something or someone to grow or develop or succeed. It requires continuous enrichment of knowledge and idea, and perpetual coaching on challenges met through the process. Callbox just thought exactly the same for You. At the start of your campaign, a Lead Nurturing tool is set up by the Team Leader to work simultaneously with the agent’s daily calling routine. The tool comprises of Actions & Triggers which is linked together to perform an automated action. Once the agent updates a contact in the pipeline as “For Follow Up”, “Not Available” or “Requested for more Information”, the lead nurturing tool will immediately send out email information to the contact. When the prospect opens the email, the agent is alerted with a Call Priority notification. This will result to a higher chance of lead conversions. Other Actions and Triggers options are to send SMS or Postal Mail, which is dependent on the campaign specifications and requirements. With these tasks taken care of, you will have more time to focus on other important things. 2. It will broaden your avenue of communications to prospects through different media. Custom email templates – drafting the content of the email information based on your product/service features and offerings. Custom SMS – a reminder sent to your prospects regarding your phone or office appointment with them at a scheduled date and time. 3. It will enhance efficiency and accuracy of your business processes by leveraging current resources for more profitable results. Real-time Alerts and Detailed Reporting of the Lead Nurturing Tool are comprehensively integrated with the Pipeline CRM at which you are able to track all touch points, both of the calling and emailing activities. 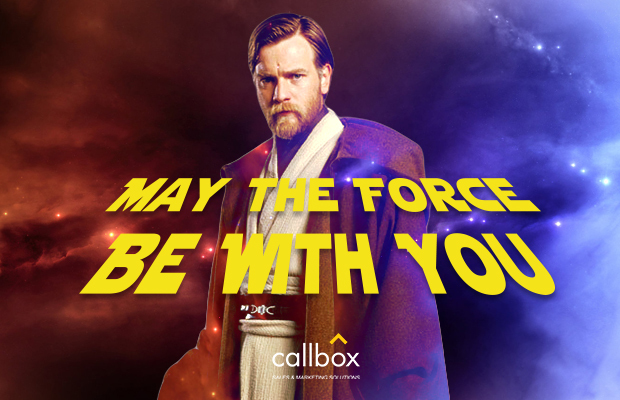 Callbox aims to bring your business at its peak. For us, every Lead is special, and deserves nurturing until it reaches its full grown potentials of success. Just like the Hindi flick I mentioned earlier – “Taare Zameen Par” which means “Every Child is Special”, for us it’s Every Lead is Special. Nowadays, building relationship and establishing trust with your prospects takes time. Many B2B salespeople complain about facing a longer buying cycle. Because of this, there is a delay on the company’s ROI. Not to mention it also lessens the chances of completing the sale. However, despite the longer sales cycle, many B2B companies in Singapore such as YuuZoo, B2B superbrands like SAP have managed to grow and continues to grow their brand value at par with global players. One reason is that Singaporean B2B enterprises know the importance of having an effective lead generation technique and technology. According to Hubspot, 79% of leads don’t convert into a sale. In fact, a purchasing decision isn’t like a beanstalk that grows overnight (and without the application of some sort of special fertilizer!). Many successful B2B companies are aware that modern buyers require progressive nurturing before they make a decision to purchase. The only problem is many sales reps fall short on lead nurturing and are doing at least 8 to 10 times of follow-ups before closing a deal. That is why lead nurturing is important because it allows you to know the right time when to follow up. At the same time, it lets you understand which stage your prospects are on their buying journey so you exactly know what approach to use to convert the lead easily. Here are the reasons why successful B2B companies use lead nurturing. Selling is not just about letting your prospects know about your products or services. Progressive follow up and constantly communicating with your prospects allows you to build trust, create a connection and grow a positive relationship with your prospects. As a salesperson, you should know that only 2% of sales happen during the first meeting. While 98% of the leads are not ready and they need nurturing. Through lead nurturing, you will eventually discover certain behaviors and attitudes upon which you can base your next strategies. That way, you’ll be able to prioritize and identify the right time when to keep in touch with your leads. Having too many B2B leads in your database, you are not sure how many will end up buying something from you. You will need to organize these leads into specific demographics (location, budget size, and job titles), target them for email blasts and cold-calling and gauge their “warmness” by scoring them based on their behavior and on their responses. This way, you’ll be able to identify buyers that fit your ideal client profile, thus, enabling you to focus your campaigns on them. Sure B2B leads can take months to convert. However, having an effective lead nurturing strategy you are opening opportunities for more deals by maintaining communication, minimizing wasted leads because you know how to prioritize them and increase your revenue. 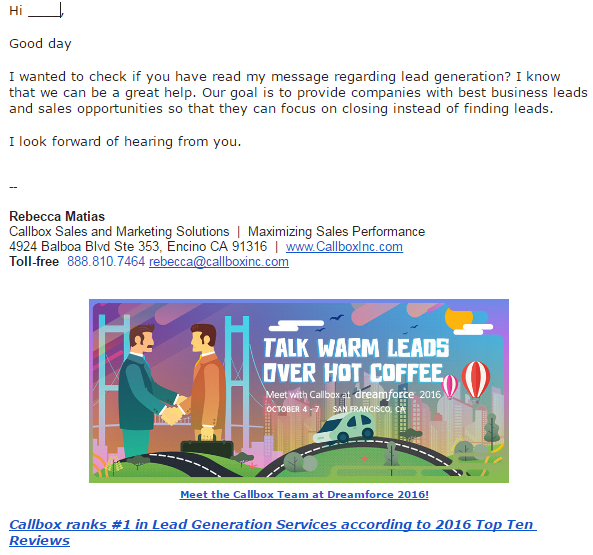 Related: AskCallbox: What makes an effective lead nurturing program? 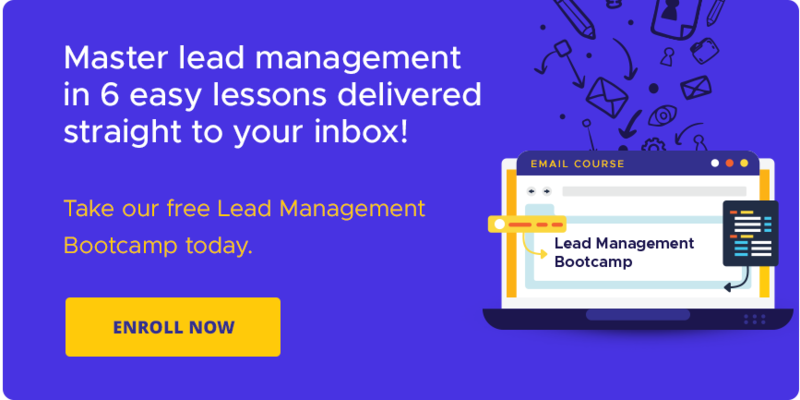 With all these reasons considered, it will be right to say that lead nurturing carries positive results not worth overlooking: A Forrester study has noted that the tactic achieves 50% more sales-ready leads and 30% reduction in lead acquisition costs. When you want to make an impact in this island-nation (and perhaps, the global industry), these numbers alone say a lot. 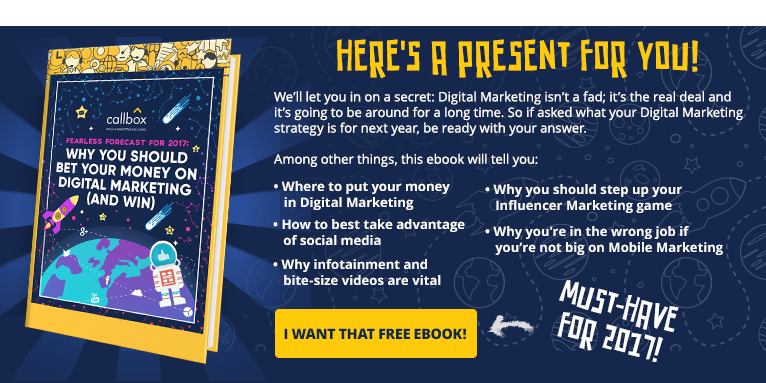 Grab a copy of our FREE EBOOK, Why You Should Bet Your Money on Digital Marketing (And Win)! We brainstormed ideas, analyzed data, and interpreted recent developments vis-à-vis previous trends before coming up with a realistic view of this year’s marketing trends. Ensuring consistent gains in your B2B lead generation also means identifying certain scenarios that raise a red flag on your marketing efforts. WEAK DEMAND GENERATION STRATEGY: If your demand generation strategy is on a shaky foundation, you have a host of problems on hand. Common issues include not following a regular list hygiene process, missing solid account mapping and lead scoring metrics, not being in touch with the dynamics of your market and not fully comprehending the issues your customers find most challenging. What can you do to ensure your strategy is well-defined and strategically aligned to deliver on your lead generation goals? YOU HAVE NOT MAPPED THE B2B BUYING PROCESS: B2B procurement is not a simple process. Not only do you have to comprehend it generically, but you also need to map it for every B2B buyer you are targeting and working on to achieve a sale. Recognize that it is going to be a long and complex sales cycle with more than one ‘power buyer’ involved. In addition, the buying process within your client’s organization may be impacted by factors such as budget issues, growth patterns, debt situation, staffing and personal issues, economic factors, and more. TOO MANY WALLS: Marketing is tossing ‘qualified’ leads over the wall to Sales. Sales is not picking up on those leads because they do not seem promising. Finance is breathing down the CMO’s neck questioning the purpose of all the lead generation activities and demanding ROI. The CEO is drinking from a fire hose with a desk that’s piled high with Big Data. All in all, everyone is functioning behind walls and in silos rather than in an environment where learning, resources and customer analytics flow freely between departments. This is a fairly typical scenario in large and medium-sized B2B companies. But it doesn’t have to be this way. TOO MUCH CONTENT: Is there such a thing? Hard to believe since everyone is going nuts with social media and content marketing. The problem is, the buyer is experiencing too much noise. If your social media and content marketing activities are not grounded in buyer persona profiling, your time and resources are going to waste. TOO MUCH RELIANCE ON EXTERNAL SOURCES: Marketing automation toys, fancy CRM software, trendy analytics tools and reports, paid social media channels, all of these are the flavour of the day. Unfortunately, a heavy reliance on these creates a situation where you now need ‘experts’ and ‘specialists’ to make sure you are getting results from your latest investments in B2B lead generation. You have to remember, though, that a specialist will pressure you to spend more time and money on activities within her or his field of specialization. That’s when the specialist can show your company some measurable results. It’s a data-driven world out there and B2B enterprises need to drift with the times. In the face of unpredictable market forces, it is important now for these companies to harness new technologies that can provide wide-ranging benefits to their lead generation and appointment setting campaigns. As a way to effectively reach out to multiple audience touch points, database integration is becoming an important strategic answer to business needs in vibrant economies like Singapore. Despite negative outlooks this year, the country continues to receive international capital. In recent developments, Britain-based business intelligence firm B2B International has expanded its reach in the Lion City. The firm believes that South Asia continues to be an important opportunity base for similar companies to harness. For now, B2B suppliers such like you need to use cost-efficient and time-saving ways in order to stay in profit and provide the necessary services to current and potential clients. Economic uncertainties entail the need to become more conservative in terms of spending. In this sense, businesses need to make better and highly profitable strategies. Linking your CRM with your sales drives accuracy and proper revenue attribution. This provides you insights into how much you are spending and how much you are gaining back. Accordingly, this enables you to create more revenue-friendly strategies. Quality is usually a pressing issue among B2B service providers due to the particular problem of setting up an effective lead prospecting and lead scoring database. Manpower proficiency has been the common culprit, but the problem usually demands investment in an efficient system that accurately gauges audience interests and undertakes interaction-based scoring. You cannot afford to send the wrong messages to the right person. It entails a waste of time and money. On the other hand, you can use marketing automation software to segment your audience and send them content in line with their needs, thus keeping in line with the need to prioritize audience interests. Integrated CRM and sales are essential in providing you with up to date information about the implementation and progress of your campaigns. Letting you focus on the right metrics and KPIs, integrated software systems is advantageous in identifying the best actions to take for better profitability and survival of your business.